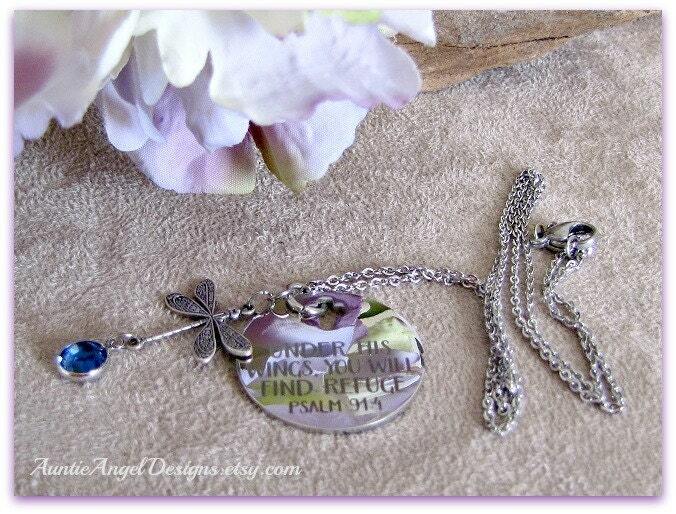 Auntie Angel Designs' Psalm 91:4 necklace is a stylish tribute piece to this wonderful Bible verse, crafted with a laser-cut stainless steel disk which says "Under His Wings, You Will Find Refuge, Psalm 91:4," topped with an antiqued silver dragonfly stamping and a genuine Swarovski birthstone charm. 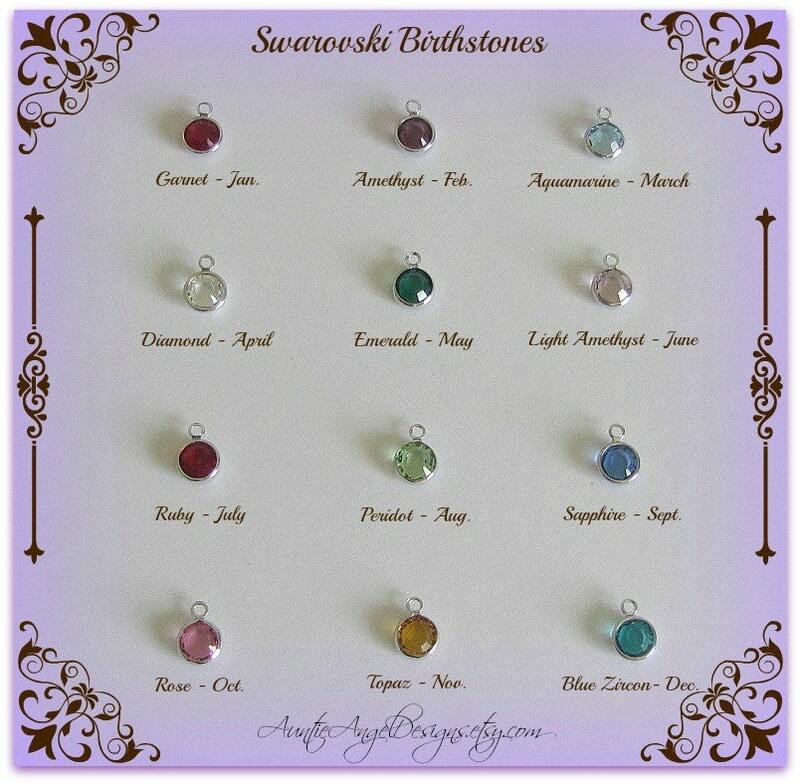 This sweet stainless steel charm measures about the size of a quarter and is strung on an 18" stainless steel chain. 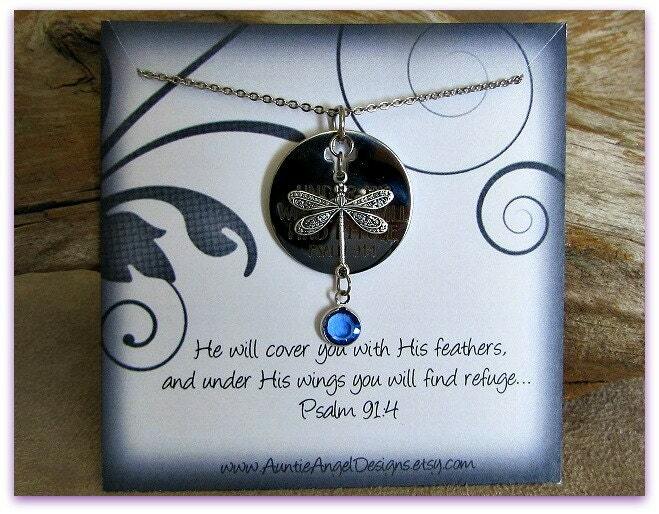 Offer your friend or loved one comfort and encouragement with this inspirational necklace. 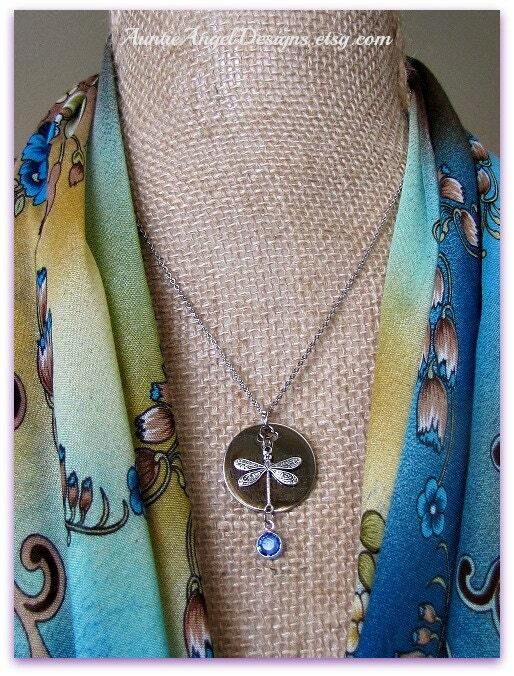 It arrives as shown on my specially designed backer card, which reads: "He will cover you with His feathers, and under His wings you will find refuge..."
Your necklace arrives beautifully gift-boxed with ribbon and is ready for gift giving. I enclose a gift enclosure card and envelope for you to write your heartfelt message if you are giving the gift directly. Please let me know if this is a gift! 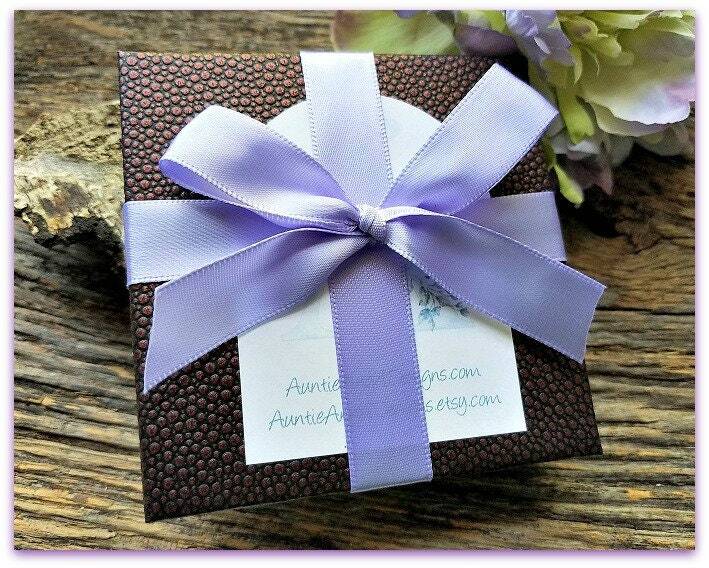 If I am sending this gift for you, please include your message in the Note to Seller box and let me know how you would like for me to "sign" your name to the card. If you have any questions whatsoever, please contact me. I will also contact you if I have any questions. Please be sure to check your e-mail after your order is placed so there is no delay in fulfilling your order. Beautiful and great customer service! Thanks so much!